Watching Burke pick up on things quickly is not so easy for Maggie. 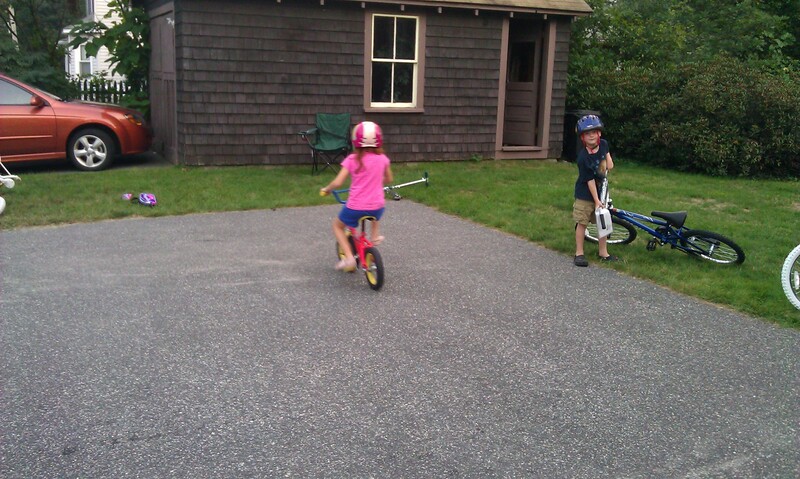 Sometimes it makes her not even try…which *almost* happened with the bike…but seeing her pretty new purple sparkly bike sitting there waiting for her has been enough motivation to get her to try out the little bike without training wheels. It took her a few hours to get over being afraid of the bike…and coming back the next day to actually be comfortable with it – but she’s getting there! !